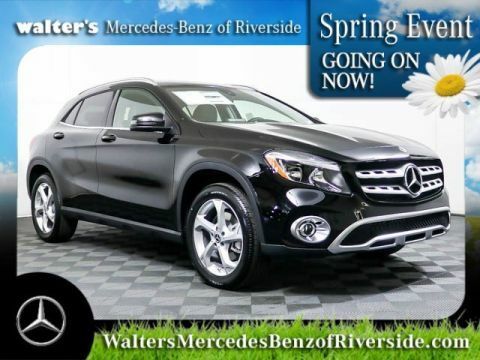 Enjoy your everyday drives around Corona more than ever when you buy or lease a 2019 Mercedes-Benz GLA SUV. 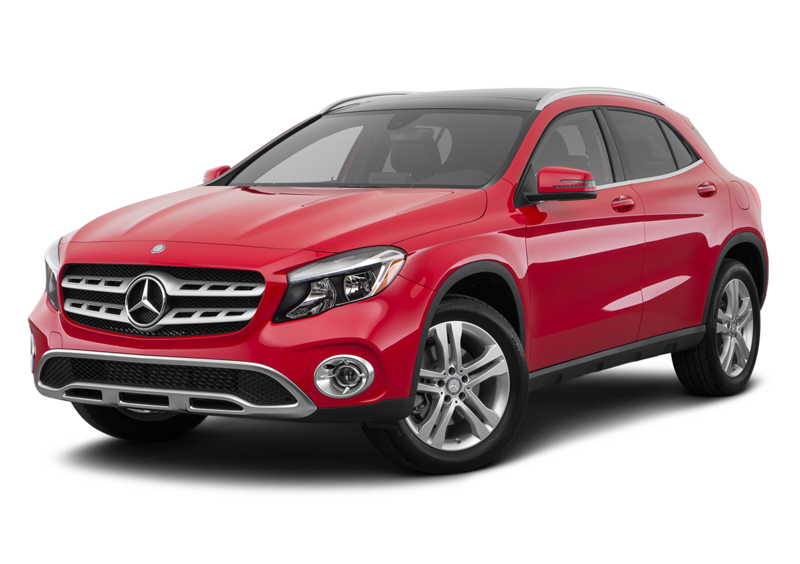 The 2019 GLA is powered by a turbo engine that delivers a modern combination of power and efficiency. 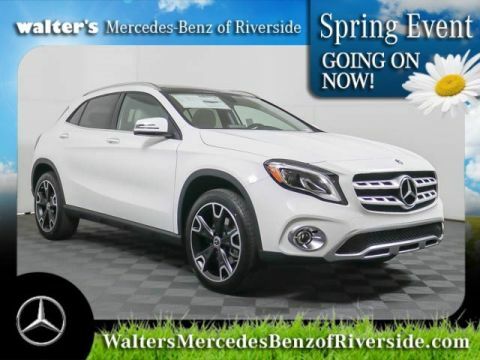 You can either buy a new 2019 Mercedes-Benz GLA 250 or a 2019 GLA 250 4MATIC® and enjoy the additional peace of mind that comes with a 4MATIC® all-wheel drive vehicle. Want to learn more about the 2019 GLA interior, specs, price and more? Visit our Mercedes-Benz dealership near Corona, CA, to speak with a member of our Mercedes-Benz finance and sales teams today! 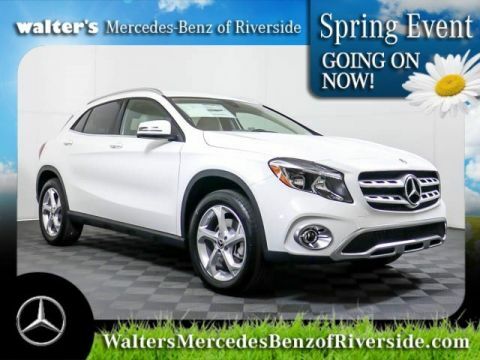 The 2019 Mercedes-Benz GLA 250 takes you through California’s highways and byways with confidence. Buying or leasing this compact SUV provides a city-sized footprint for urban streets and a sporting ride for freeway trips. 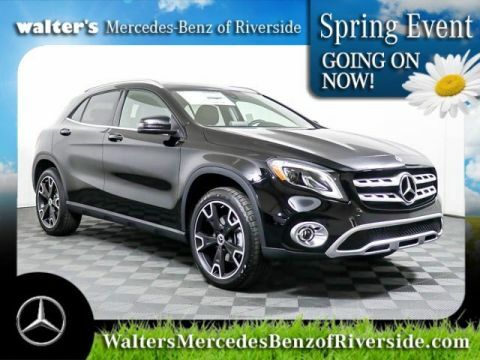 Take one for a test drive right now by paying a visit to Walter’s Mercedes-Benz of Riverside today. With its capable 2.0-liter turbo inline 4, the 2019 Mercedes-Benz GLA 250 produces 208 horsepower and 258 lb.-ft. of torque, while rushing you from 0 to 60 MPH in just 7.2 seconds. Pushing this performance are high-pressure Direct Injection and multi-spark ignition. To increase fuel efficiency, the ECO-START® system turns the engine off when you idle or stop, and turns it on again when your foot lifts off the brake pedal. The seven-speed Dual-Clutch automatic transmission merges the seamless gear changes of an automatic with the responsiveness of a manual. Shift paddles allow for gear control with your fingertips. Choose from such modes as ECO for efficiency, Sport for excitement, and Manual for total control. With the DYNAMIC SELECT program, you can further refine your drive with ECO, Comfort, and Sport settings plus a fourth independent setting that lets you create your options. If you upgrade the agile front-wheel drive to the 4MATIC® all-wheel drive, you gain optimum traction and variable torque. When this system detects that the wheels are slipping, it can immediately send up to half of the torque to the back wheels so that you maintain your grip on uncertain surfaces. 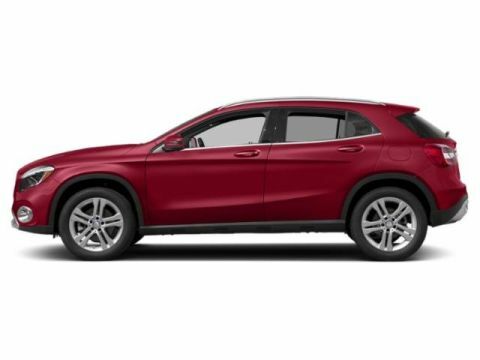 Your investment in the 2109 Mercedes-Benz GLA 250 is protected by an anti-theft alarm system that arms when you close your SUV from the outside. If anyone tries to enter without unlocking the vehicle, the exterior lights flash, and the horn sounds. A Panic button on your key fob also calls for this attention. To ensure that you’re path remains steady, the Electronic Stability Program counteracts oversteering, wheelspin, or understeering by braking wheels as needed and lessening engine power. The Antilock Braking System prevents your wheels from locking up during hard stops by pumping the front brakes up to 30 times a second. When Brake Assist detects that you’re steeping on the brake pedal hard, it applies the maximum available pressure to reduce the overall stopping distance. Helping you back out of parking spots is the Rearview Camera that shows 180 degrees of what’s in back of you when you shift into Reverse. This system can be upgraded to the Surround View System that shows a virtual bird’s eye view of the immediate SUV’s surroundings so you can maneuver more conveniently in narrow spaces. Head forward in misty or bad weather and the front projector-type fog lamps maintain visibility. Numerous features ensure that you and your passengers reach your destination safely. To prevent collisions with slow vehicles or stationary objects, Active Brake Assist either boosts your braking pressure or automatically initiates a stop. 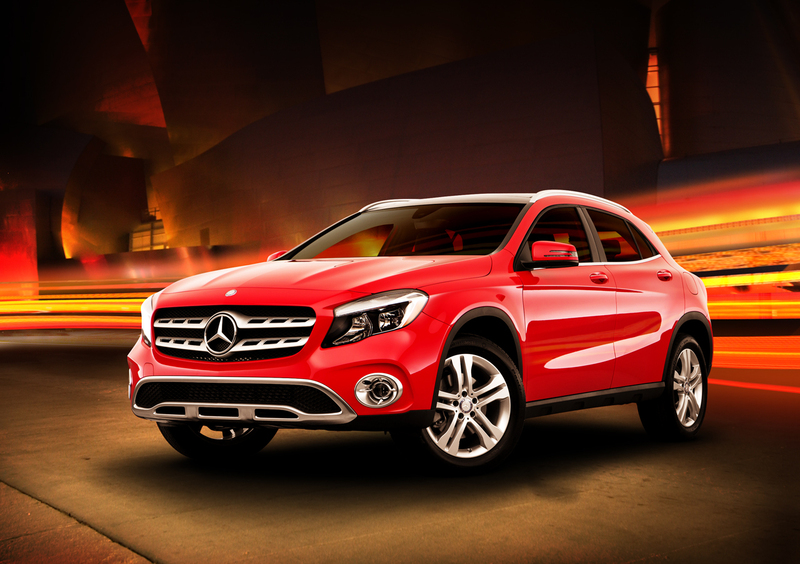 If you become drowsy on long trips, ATTENTION ASSIST® wakes you with an audio-visual surprise. Available driver assists increase the protective features of your vehicle. They include Lane Keeping Assist so the SUV does not drift from its lane, Blind Spot Assist to warn you of incursions into your Blind Zone, and Active Distance Assist DISTRONIC® that puts a reasonably safe distance between you and the vehicle ahead while automatically adjusting your speed to keep with traffic flow. You’ll always travel first class in the high-tech luxury of the 2019 Mercedes-Benz GLA 250. With available KEYLESS GO®, you can enter this upscale environment without taking the SmartKey from your pocket. Touch an exterior handle to lock or unlock all the doors. Then have a seat and step on the brake pedal to rev-up the engine by pressing the Start Engine button. Mold the power front seats to your body’s comfort with 14 adjustments that include 4-way lumbar support. Built-in memory that stores up to three settings that include the positions of the power side mirrors. The rear seatbacks drop-down in a 60/40 split so the interior can flexibly accommodate up to five adults or from 17.2 to 43.6 cubic feet of cargo. Loading becomes more convenient when you open the power liftgate using a button that is on the SmartKey remote or the driver’s door panel. The Dual-Zone Automatic Climate Control gives you and your front passenger personalized settings that automatically adjust to weather differences. Two air vents in the rear cabin keep those in the back just as comfortable. To encourage music appreciation with the optional harman/kardon® Logic 7® sound system surrounds you with 450 watts of audio. You can then manage your favorite tunes using the central controller and eight-inch color display. With optional COMAND® navigation, you can find your way with GPS technology. Available SiriusXM® Traffic and Weather steers you around traffic congestion and weather issues. Also at your beck and call are the features of your compatible smartphone, which are seamlessly integrated to the infotainment through available support for Apple CarPlayTM, Android AutoTM, or Bluetooth®. Available in-car WiFi maintains Internet connections for up to eight devices even when you’re on the freeway. If you prefer to listen to commercial-free music, exclusive talk, or live play-by-play sports, available SiriusXM® Satellite Radio delivers with over 150 channels. Advanced voice control lets you use the spoken word to take charge of entertainment, phone, and navigation functions. harman/kardon® and Logic 7® are registered trademarks of Harman International Industries, Incorporated. Bluetooth® is a registered trademark of Bluetooth® SIG, Inc. Learn more about the 2019 GLA interior, engine specs and more when you visit Walter’s Mercedes-Benz of Riverside. Our Mercedes-Benz finance team is ready to help you buy or lease a 2019 Mercedes-Benz GLA 250 in Riverside, CA!